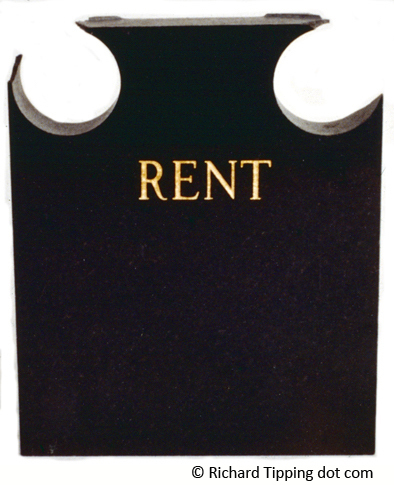 Rent Now, Rent Asunder, 1978-79. Black granite, engraved, goldleaf. Dimensions approx 50 x 35 x 10 cm (to be confirmed). Made in Adelaide, shown at my exhibition The Everlasting Stone at Adelaide Festival Theatre in 1978. This photograph shows Rent in the garden of a friend to whom I gave this work when moving to the east coast permanently from Adelaide in late 1979. 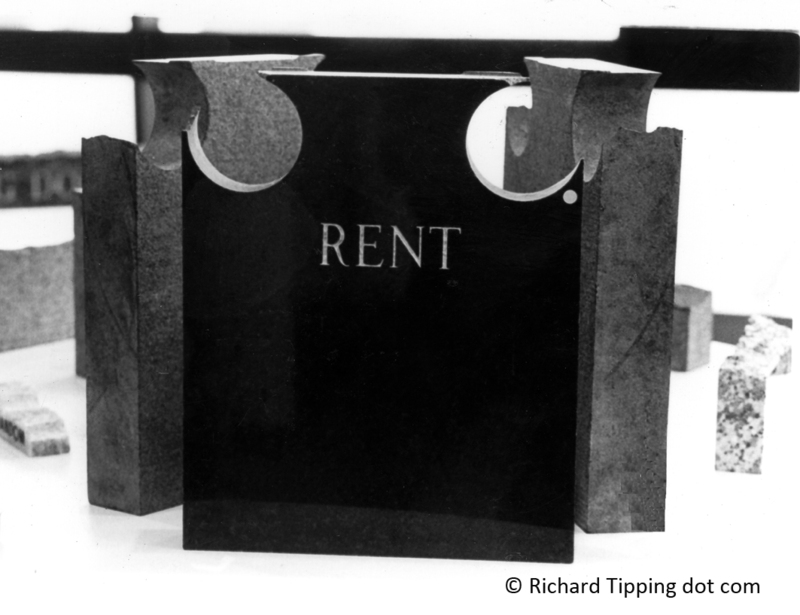 Thirty five years later, while visiting my old home town, I rescued Rent from his old house, where it had been left behind, swapping an editioned reflective Notice sign with the new owner. The sculpture had been badly treated, and was broken on both top corners. The trouble with sculpture is that it's like keeping an eye out constantly for the welfare of your children, and helping where you can. This close-up photograph shows Rent Now, Rent Asunder standing alone. The next photograph was taken at the exhibition The Everlasting Stone in 1978, and shows the edition of three placed on a table. There is a 'sold' sticker on the front one - two sold, and I gave the third to my friend. Now that one has been repaired, and with goldleaf, and is back in the garden, my garden this time. Remembering all those years of renting houses. 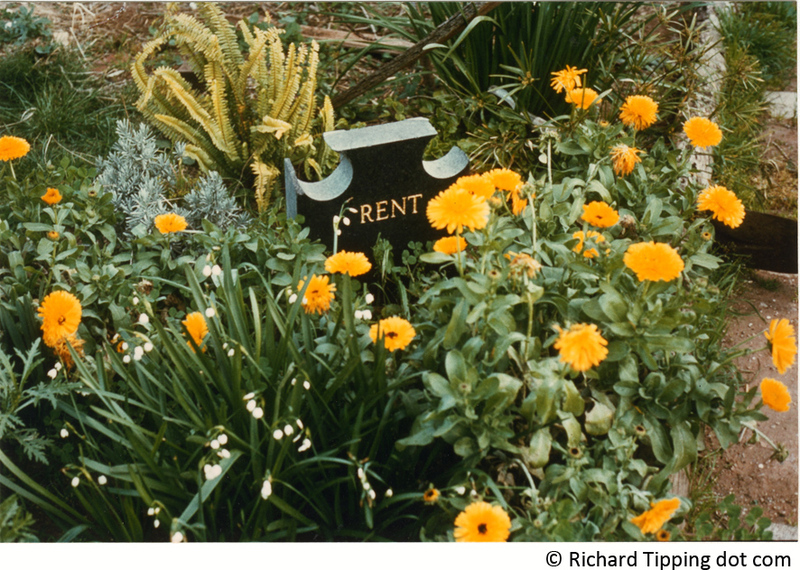 Burying the rent. Only an 'r' sits between buying and burying. Our lives rent asunder. So wonderful, Richard. Reading, looking and thinking about that has made my day. Thank you.